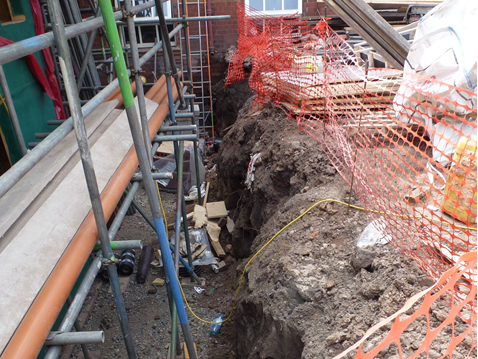 Photographs taken by Inspectors undertaking unannounced ‘spot checks’ on repair and refurbishment works during the first few weeks of the Construction Initiative 2013/14. 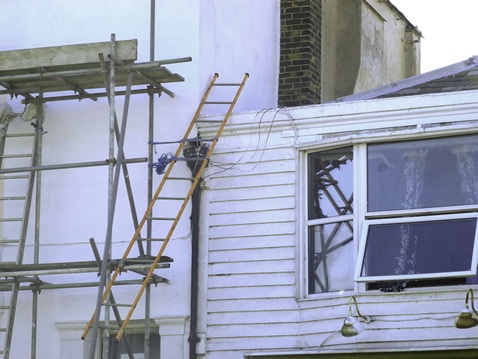 Inspectors intervened immediately when they saw this appalling scaffold set-up. 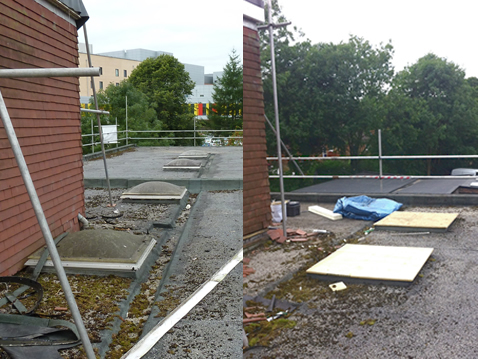 Access to the roof inherently dangerous with missing guard-rails, toe boards and scaffold boards, nothing tied in anywhere. 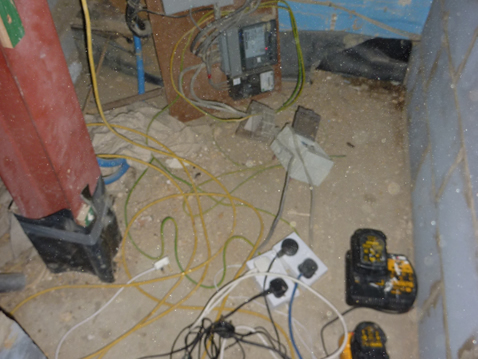 As this was a large building, one fire claxon and extinguisher was not sufficient. 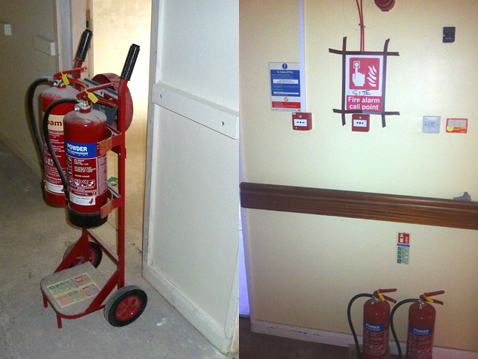 So a temporary replacement was installed with fire points on each floor. 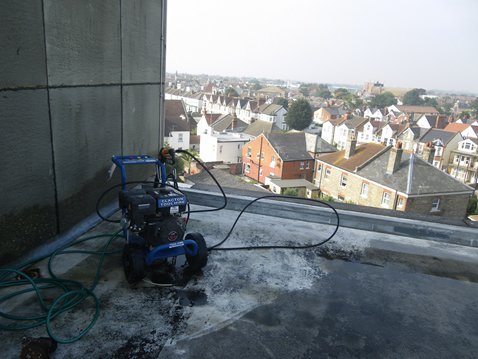 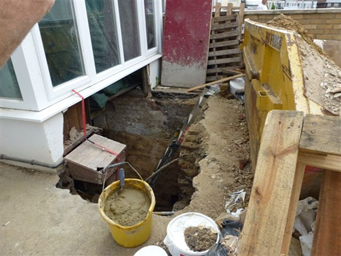 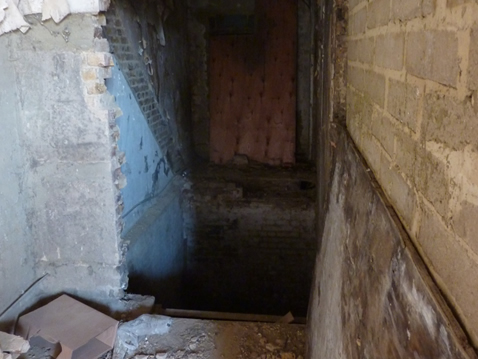 Inspectors took immediate enforcement action on finding this exposed lift shaft on one site. 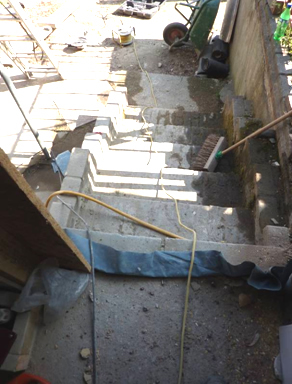 Prohibition notice served, falls risk extremely high. 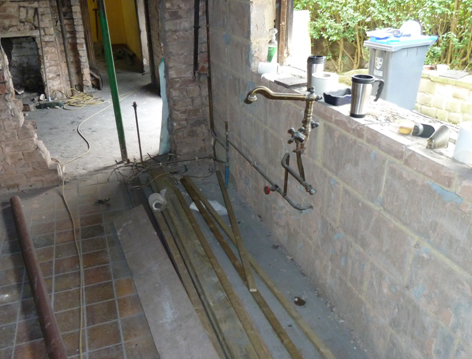 A prohibition noticed served on this extension work shown below, was inspected during a unannounced spot-check – exposed scaffolding was found , putting workers at risk from falling through on to the building works. 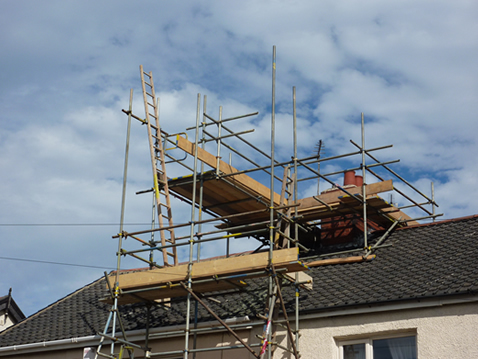 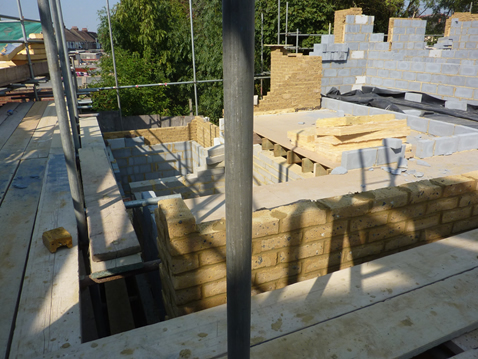 Scaffolding - Good practice is demonstrated above by a sole trader in that scaffolding is used to gain access to the chimney stack for repointing work. 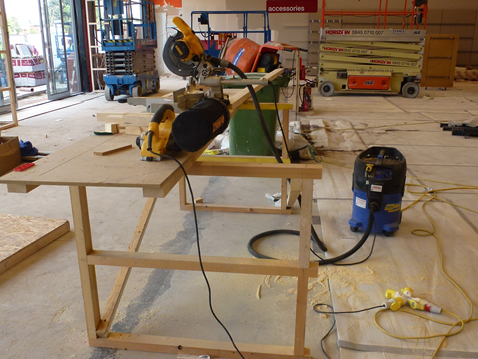 Control of dust – Wood-working machines with automatic start extraction and dust collection bag on planer. 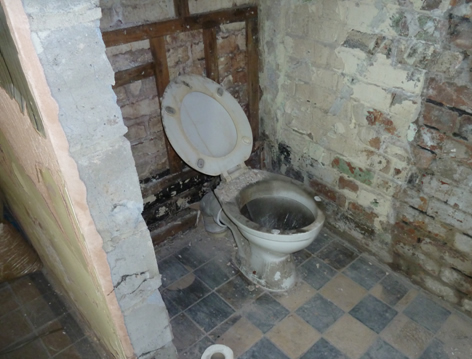 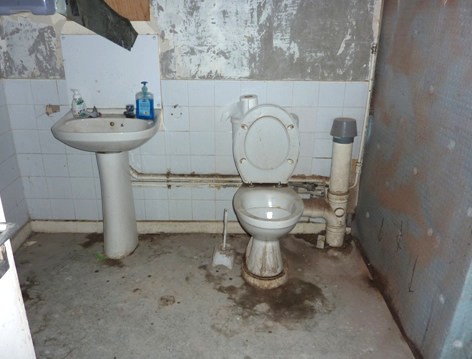 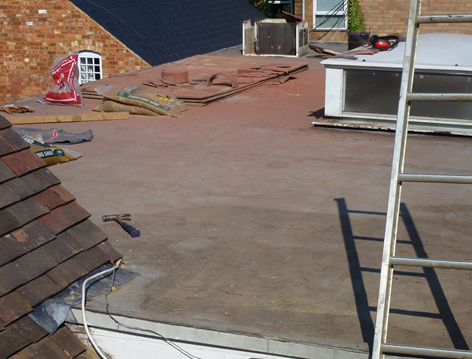 On site welfare is important to protect workers health – here are some examples where facilities were found to be below standard.